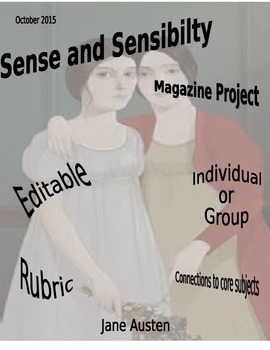 Description: In this project students will explore in more depth the content of Sense and Sensibility, by Jane Austen. 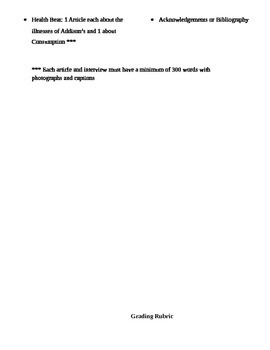 The project will make connections to all core areas, including ELA, math, history, science, writing and art. 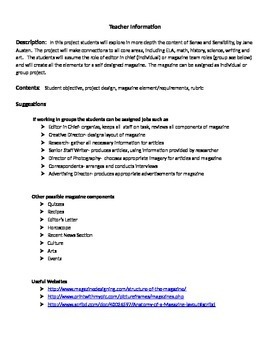 The students will assume the role of editor in chief (individual) or magazine team roles (group see below) and will create all the elements for a self designed magazine. 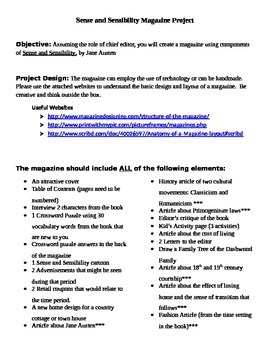 The magazine can be assigned as individual or group project.